Like plays about South Africa’s apartheid system, the plight of occupied Palestine is gradually finding its voice through theatrical production. The voices can vary in tone from surprising humour (of the gallows variety) to harrowing. 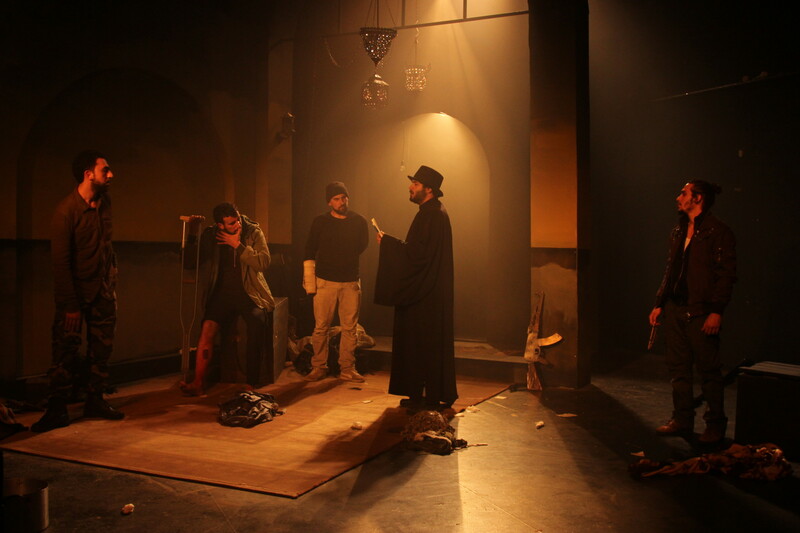 The latest `postcard from the front’ which comes from The Freedom Theatre, based in the Jenin Refugee camp, falls mostly into the latter category. And how appropriate it should be housed in the Battersea Arts Centre that itself is rising from the ashes of the recent fire. Freedom Theatre’s title tells you much as does the fact their present UK tour, subsidised by the Arts Council, has raised hackles from the `other side’. Given the intractability of the situation, such views are inevitable. 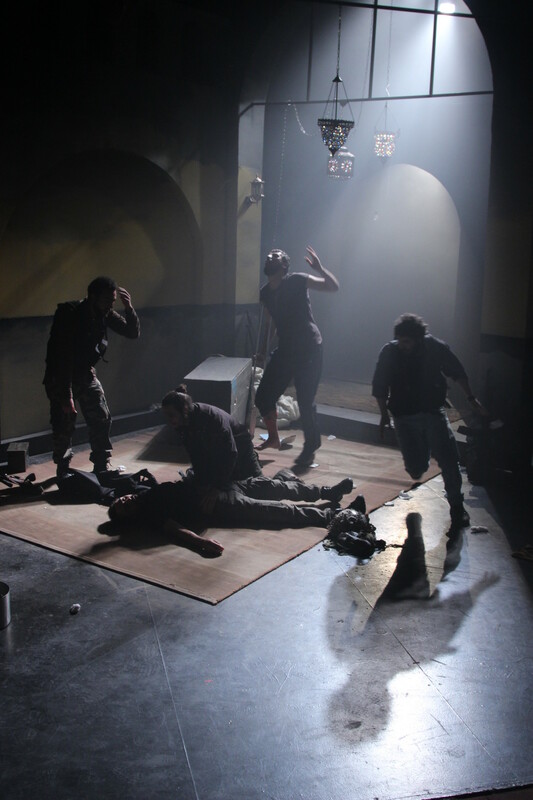 As a piece of theatre, The Siege, co-directed by Freedom Theatre’s artistic director Nabil Al-Raee and British director Zoe Lafferty pulls no punches. It’s hard-hitting, martial, passionate and partisan. How could it be otherwise, telling the story as it does of the siege of Bethlehem in 2002 when a group of Palestinian `freedom fighters’ (terrorists according to Israel) sought sanctuary inside the Church of the Nativity. What followed was a bloody, 39-day stand-off in which 200 other people in the church and the city itself were reduced to paralysis by Israeli forces. As an account of the day to day life endured, taken from verbatim accounts and supplemented by video clips of rolling tanks, the production pulsates with violence and gives an important, painful bird’s eye view of the debates and life and death choices that had to be made. 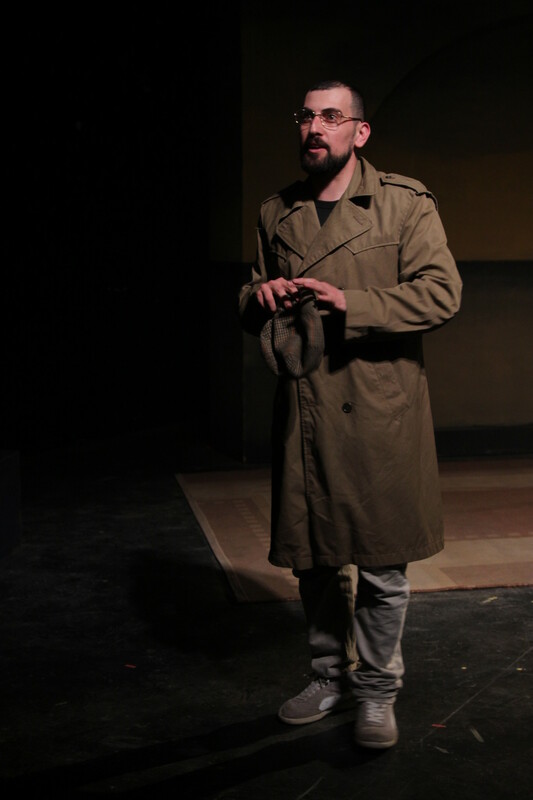 Freedom Theatre exemplifies how the company sees its role – finding freedom through art, telling stories that the West may not see or want to hear. Theatre in such circumstances becomes a vital conduit and counterbalance. The commitment of The Siege’s cast, many of them drawn from the refugee camps and representing real people still in exile following a shady deal, is unquestionable. The production itself is leavened by a gentle, ironic humour in the shape of a narrating tourist guide and stylishly designed as if within the church’s crypt. Its impact, I suspect, will be in direct correlation to how one views its political context. Brave and ardent. And unapologetically one-sided. This entry was posted in 2015, Reviews and tagged Battersea Arts Centre, Freedom Theatre, Palestine on May 27, 2015 by Carole Woddis.